Hagl�fs have teamed up with Asics to design the Men's Gram Gravel to create an ideal door to trail shoe. 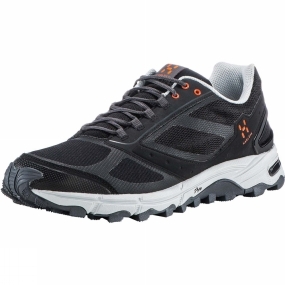 Featuring an anti-gravel tongue and extra cushioning it delivers the comfort and support required for a wide range of activities. It also utilises non water absorbing polyester mesh to keep the weight down when running in wet conditions.